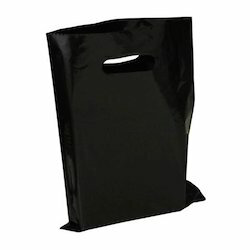 We have emerged in offering our valuable customers a wide array of Polythene Bag for Carrier Bags. These bags are designed in compliance with the set industry standards and norms using superior quality raw material. Available with us at highly affordable market price, the offered bags are used for the purpose of packaging various food items. In addition to this, these bags are used as shopping and waste disposal bags. These bags undergo various quality assurance tests by our team of quality controllers that ensures a flawless range. Looking for Polythene Bag for Carrier Bags ?